A marathon is tough going and there is no getting away from that fact. In the days post marathon, you could feel sore – in fact, it could be very sore, and stairs can present mountain-like obstacles – going down is harder than going up. Force yourself to be active – move around, get up make the tea, wake to the shops, go for a coffee – keep your step count up. Not hard exercise, but if you sit, sit sit and lie down, the pain will be much worse. Engage in some light stretching – your quads will be sore and so movement to loosen those will help. Again, nothing drastic but your body moved in one plane and used the same muscles – it needs a bit of variation. Soreness from the run vs soreness from a lot of booze? If you go straight to pub post run, drink excessively, then you will be sore the next day. If you drink a lot without doing a run it leaves you feeling groggy – this makes it worse. And so get some nutritional food – high nutrition is important. 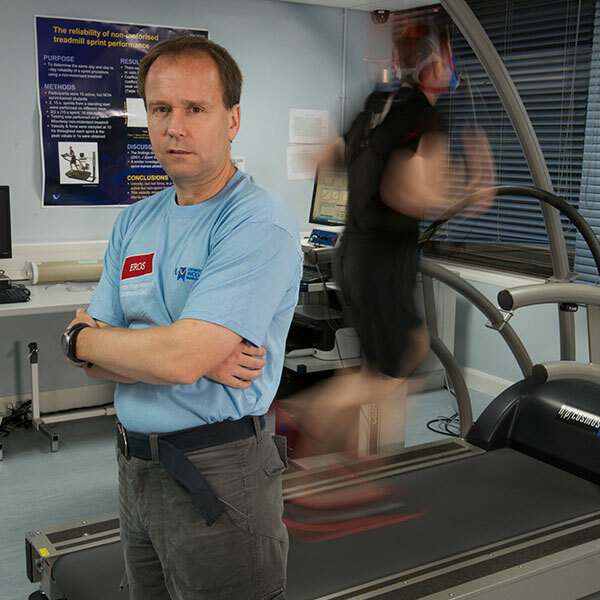 Andy Lane is Professor of Sport and Learning within the University's Institute of Sport and Human Science.